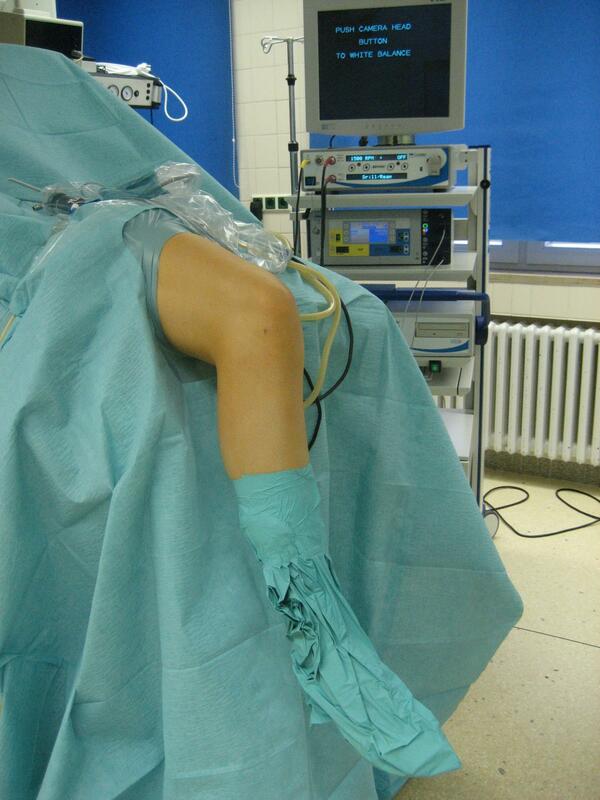 Basis of the modern operative knee joint theraphy is the arthroscopy. Through tiny, 3-4 mm large skin incisions an optical system with a connected fiber optic is brought into the examined joint via a thin tube (diameter 4 mm). The images of the inside of the joint are transferred via the optic to a video camera and one or more monitors. This way the surgeon, maybe also the patient, can follow the surgery directly on screen. In order to bring instruments inside a second or even a third tiny skin incision is necessary. The operation can last between 10 and 60 minutes (posterior cruciate ligament surgery) and is done under general or spinal anesthesia. Today, cruciate ligament surgeries are usually performed arthroscopically. There are various options to recover the cruciate ligament these days. In case of fresh cracks the suture can be performed with an additional stabilization. In case of partial tears the partial replacement can be performed with a body’s own tendon. In case of a complete and irreparable crack the cruciate ligament is replaced by an extraneous or endogenous implant. A temporary hype was the anterior cruciate ligament replacement via the so-called „double bundle technique“. Experience has shown, that it is not superior to the single bundle technique.